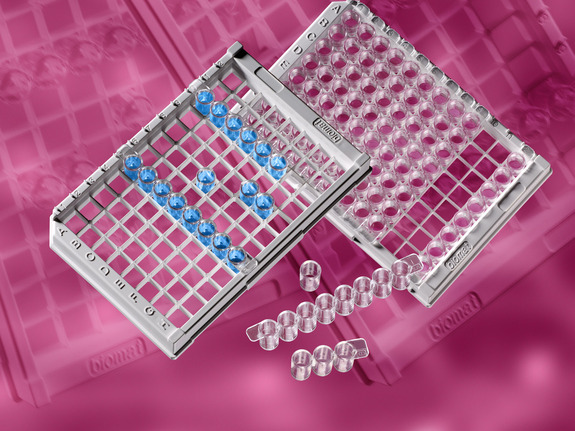 Biomat 96 well plates offer a reliable response to the needs of kit manufacturers and researchers. Plates are offered in the form of breakable 8 well strips which fit either onto an 8 x 12 holding frame or a single well holding frame, allowing the maximum flexibility for the user. the optical quality, important to reduce the background signal, is pursued through the mould design.